Milburn House, Dean Street, Newcastle. 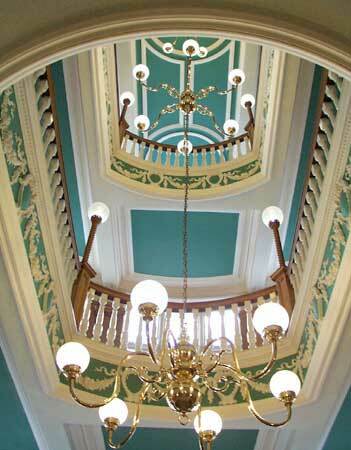 The magnificent interior of Milburn House on Dean Street, leading down from Grey Street to the Quayside. This office block was built in 1905 with finance from the Milburn family. Because of their connection with shipping it is designed like an ocean-going liner, with floors labelled deck-style with A at the top and G on the ground floor. In its early days 100 tenants provided work for almost 1,000 people.